Popular Netflix drama House of Cards has suspended production following a sexual assault allegation against star Kevin Spacey, THR reports. 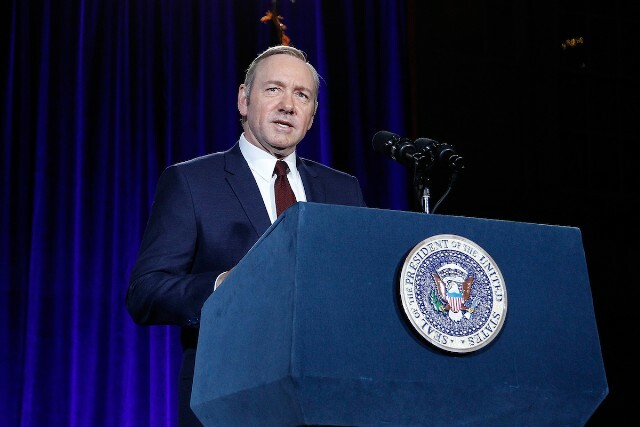 “MRC [production company Media Rights Capital] and Netflix have decided to suspend production on House of Cards season six, until further notice, to give us time to review the current situation and to address any concerns of our cast and crew,” the companies said in a statement. On Sunday, Buzzfeed published a detailed account from actor Anthony Rapp, who alleges Spacey made a sexual advance on him in 1986, when Rapp was a 14-year-old child actor on Broadway. In a subsequent Twitter “apology,” Spacey said he had no memory of “what would have been deeply inappropriate drunken behavior” and also came out publicly as a gay man. Netflix subsequently announced that the upcoming sixth season of House of Cards, on which production is now suspended, would be the show’s last. Spacey was not on set yesterday, as was “previously scheduled,” the companies said. Netflix is reportedly exploring concepts for spinoff series that could extend the show’s lifespan.